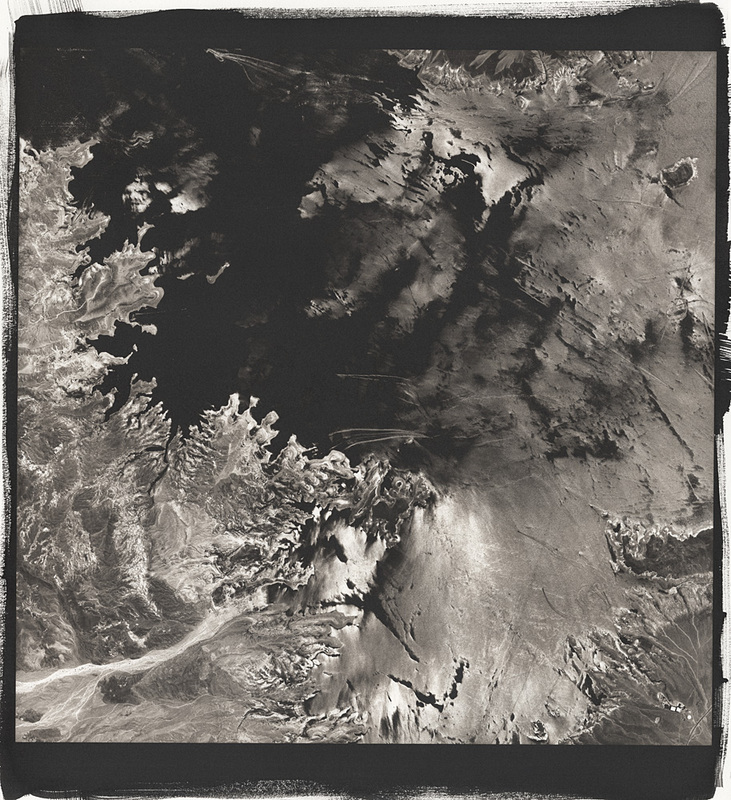 I have been working on and off for the last two years compositing hundreds of appropriated satellite images to make massive files which I use as a starting point for making large-format abstract platinum-palladium prints of places of economic, political, and environmental interest. 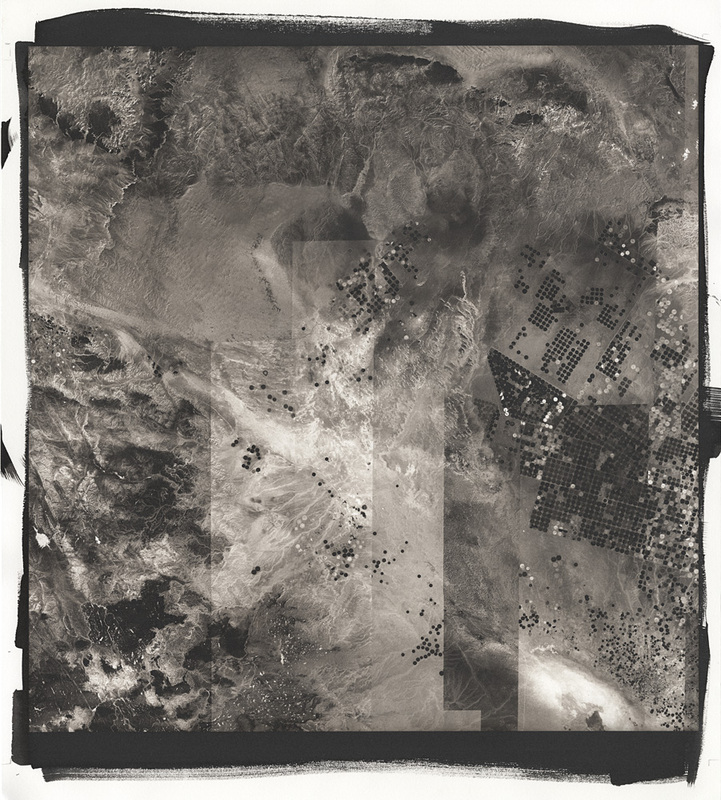 I was initially drawn by the aspects of multi-layered abstraction created by elevation and the compositing of images captured over the course of several years, and the way in which we increasingly rely on viewing satellite and aerial images in daily life—from finding our way to a restaurant on Google Maps to their use fighting wars. I have been dreaming about how to write a grant that will allow me access to a satellite and a year to make pictures with it. Looks like Andreas Gurksy had the same idea—sort of. Here is an excerpt from the press release for his upcoming show at the Beverly Hills Gagosian Gallery. In the new Ocean series, Gursky has for the first time relinquished his position behind the camera to work with satellite images of the world as his raw material, creating contemporary mappe del mondo on a scale befitting the cosmic grandeur of the subject. In their darkly nuanced surfaces, he has worked to reconcile the division between the machine eye and the human eye, continuing the debates and practices begun in the nineteenth century regarding photography and the issue of artistic expression versus objective science.